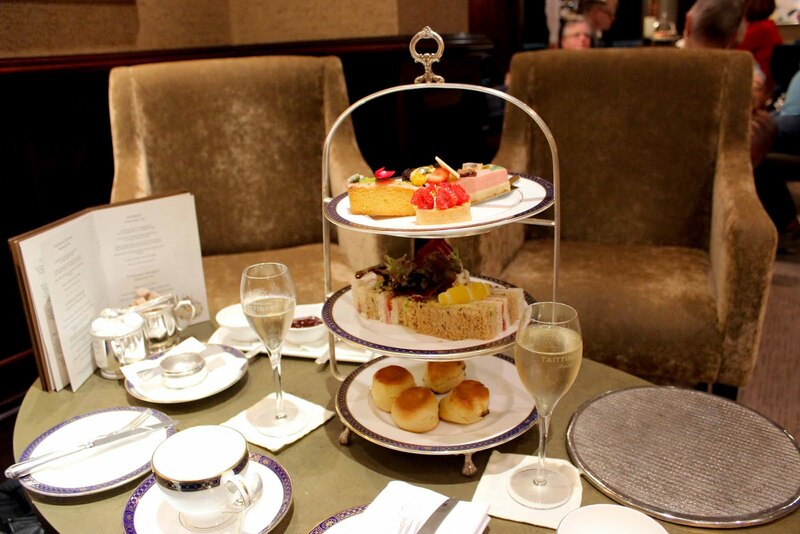 London tends to steal the limelight in a conversation about the best places for a classic afternoon tea experience. But we would argue, we’re quite lucky here in the North West to have some distinguished venues that offer a traditional tea experience, such as Crewe Hall or The Midland in Manchester, that don’t require a two-hour Pendolino trip down south. One that seemed to fit the bill and had been on our list for a while upon recommendation from friends (aren’t we supposed to be the tea experts around here? ), was The Chester Grosvenor, so we decided to check it out last month. You can’t get much more central Chester than this hotel, situated right in the middle of town amongst the flurry of shoppers on Eastgate Street and practically on my doorstep, it wins at the location game. Afternoon tea is served in the The Arkle Bar, a sophisticated lounge seeped in deep greens and mahogany, offering a similar atmosphere to that of our favourite London tea venue, The Milestone. Good start. 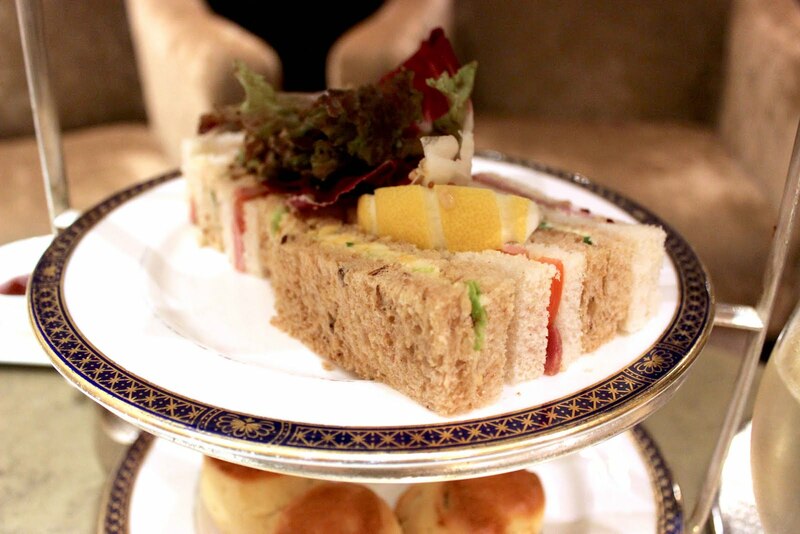 There are three types of tea to choose from: Traditional, Gentleman’s and Indulgent. We went for the Indulgent (because why not? 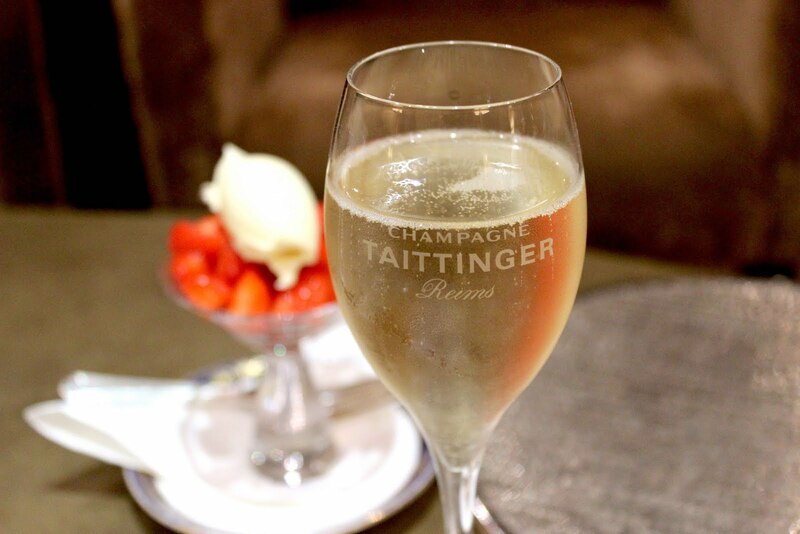 ), which comes with a glass of champagne and strawberries with clotted cream. As regular afternoon tea-goers, those kinds of touches always stand out for us and the fresh strawberries were delicious. 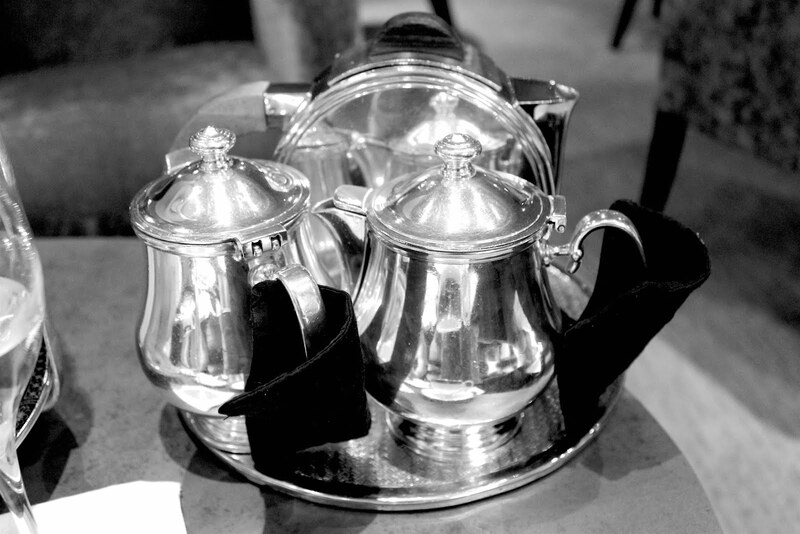 Soon after, tea arrived on a three-tier silver stand, a pretty selection of sandwiches, scones and cakes but nothing too thrilling. We tucked into the sandwiches, flavours included, beef and horseradish, ham and tomato, salmon, and cheese and onion. A good choice of flavours and once finished, we were offered a refill so eagerly topped up on the salmon. Then on to the scones of which there were two each; one fruit, one plain. The scones were quite small but in my opinion - and as someone who's eyes are usually bigger than their stomach - this is a good thing because you never want to overload on scones and leave no room for cake. Finally the cake selection, which while absolutely beautiful, did feel a little lacking. We noticed a few tables around us seemed to have a slightly different variation of cakes to ours but that said, the ones we did have were very good and faultlessly decorated. This included a strawberry cheesecake topped with white chocolate and fruit, a raspberry pie, chocolate and lemon on a biscuit base, and polenta cake with pistachio. 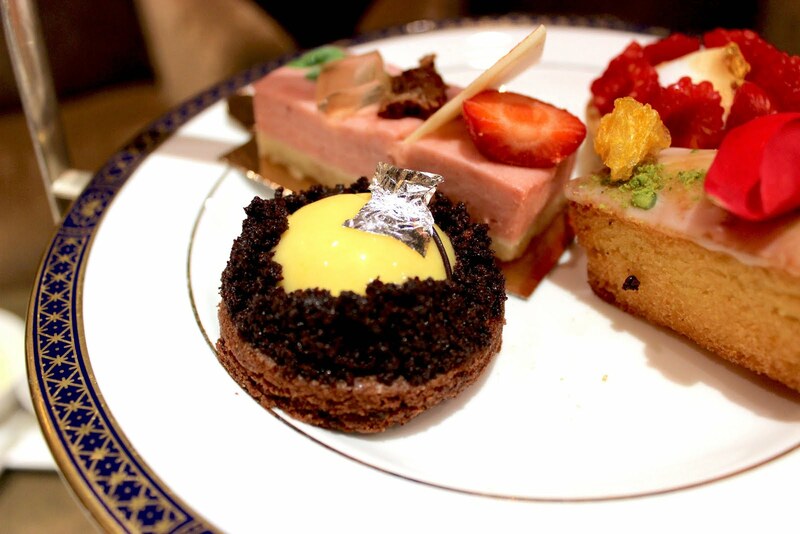 It’s quite common with afternoon tea to not get two of everything, and that’s fine unless you both end up fighting over the chocolate cake, but I think for an ‘indulgent’ afternoon tea, two cakes each just didn’t feel enough and perhaps a couple more would have done the job. As a side note, we did spot a table next to us were offered a refill, whether this is usual for this afternoon tea or because we were the last sitting of the day, we can’t say for definite but unfortunately we were not offered a cake top up. To drink we went for Earl Grey and coffee which came served in one of the most beautiful tea sets we have seen. The coffee pot in particular had an almost steampunk vibe to it which gave the setting a little quirky kick. 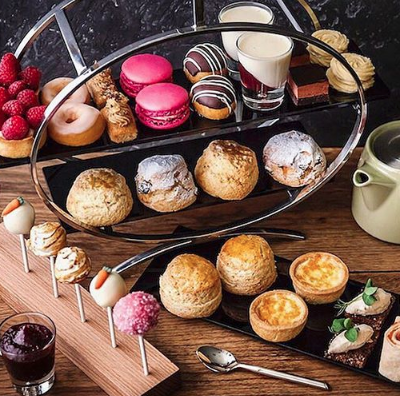 This is undoubtedly a ‘traditional’ afternoon tea from the venue right down to the sandwich fillings and while that can be a good thing, it can also mean it misses the wow factor. This is often why ‘traditional’ or ‘classic’ is a tricky game to play. Not everyone needs punk fries or brioche with dipping chocolate to stand out from the crowd but there still needs to be something that makes it special. 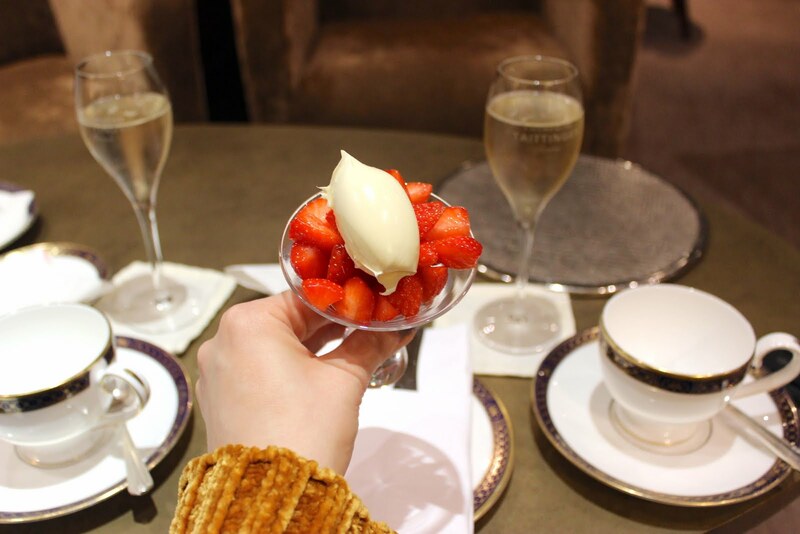 At £45pp the Indulgent Champagne Afternoon Tea is not the cheapest and therefore I would have expected a little more, particularly when you compare to some London venues which are on parr with the price and offer a lot more for your money. But if classic is your style and you’re looking for a luxury tea setting up North, then this could be right up your street. Hello! We're Laura & Caroline, welcome to The Afternoon Tea Club - the home of all things tea and cake! SHORTLISTED AS BEST BLOGGING DUO! SHORTLISTED AS BEST FOOD BLOG! 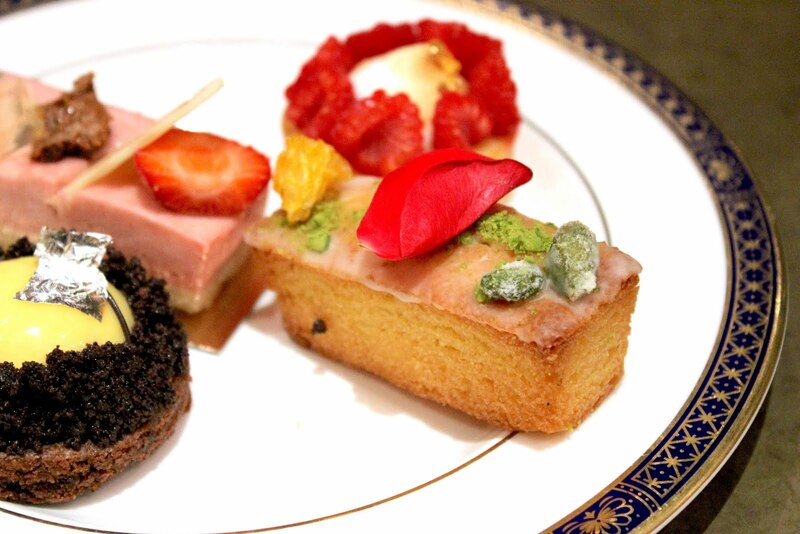 © The Afternoon Tea Club 2012 - 2015. Powered by Blogger. © The Afternoon Tea Club. All rights reserved.